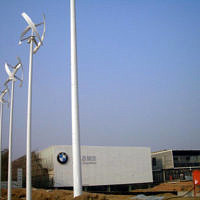 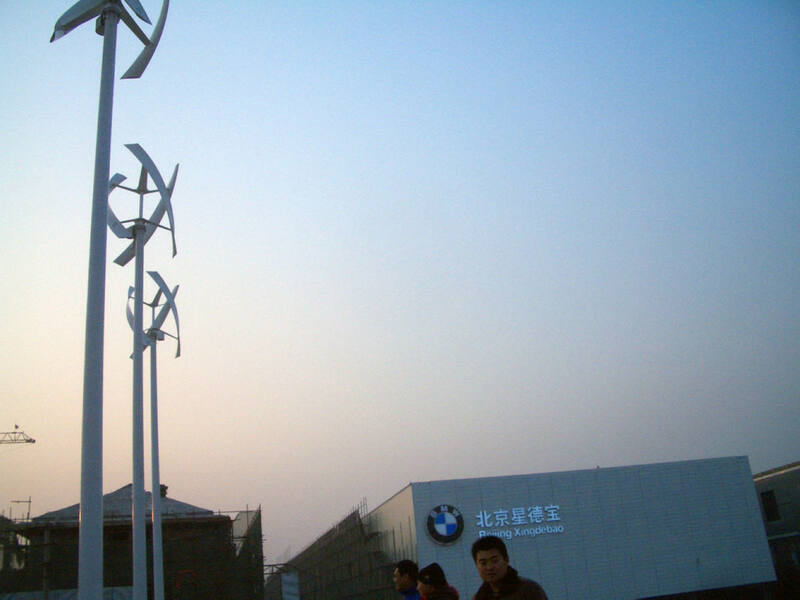 BMW wanted their new building in Beijing to exceed local green standards. 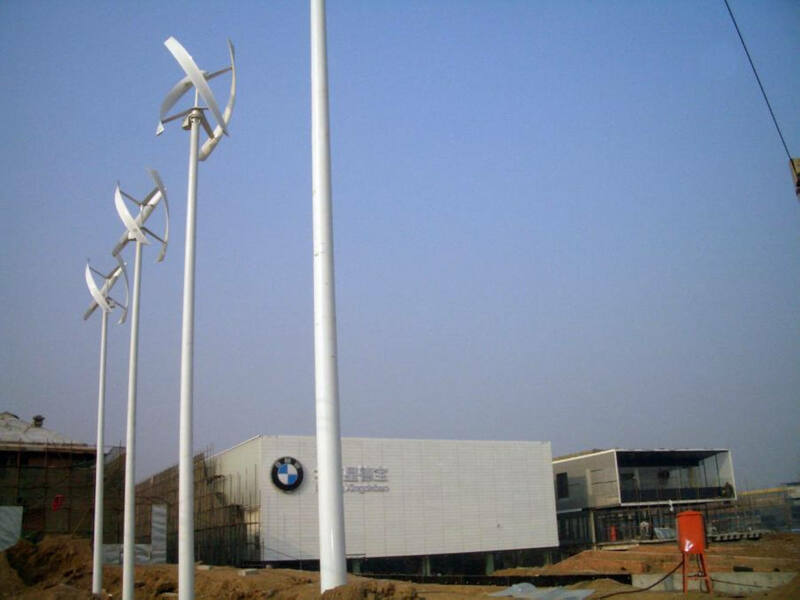 UGE worked with BMW to install a large wind and solar hybrid energy system, with five wind turbines, 100kW of solar PV, and energy storage. 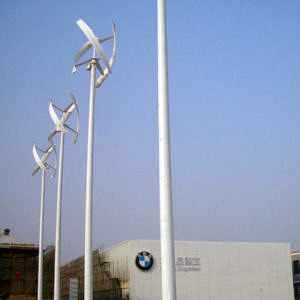 V-Air Wind Technologies Inc also guided Beijing Star Double, owner of the dealership, through the financing of the project. 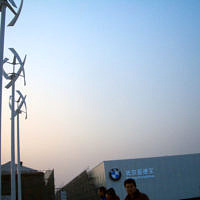 The system offsets a significant portion of energy consumption, while feeding power to the batteries. 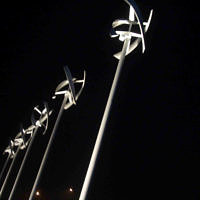 The building now operates on cleaner, more sustainable energy. 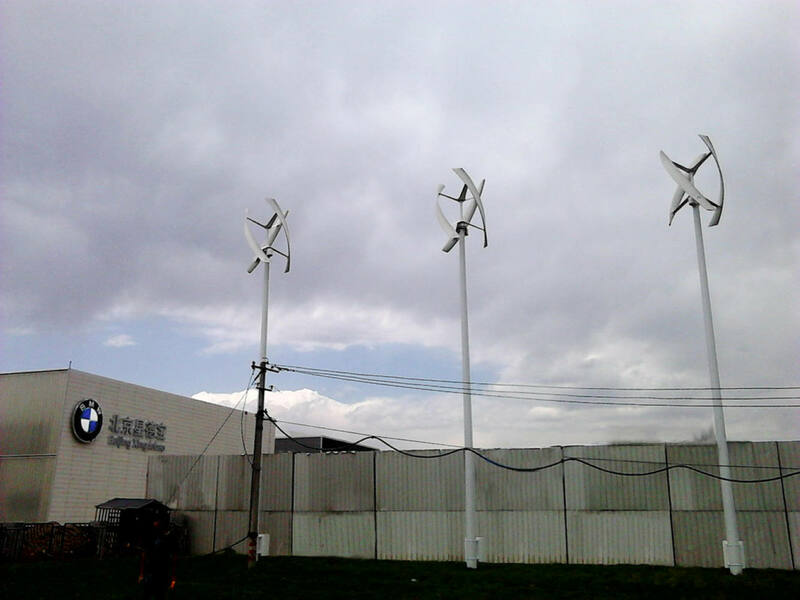 Through the implementation of various technologies, including wind, solar, and geothermal energy, Beijing Star Double has taken full advantage of the environment to decrease its reliance on traditional fuel sources. 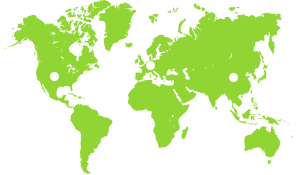 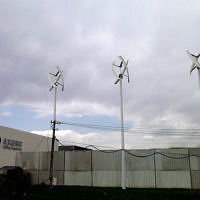 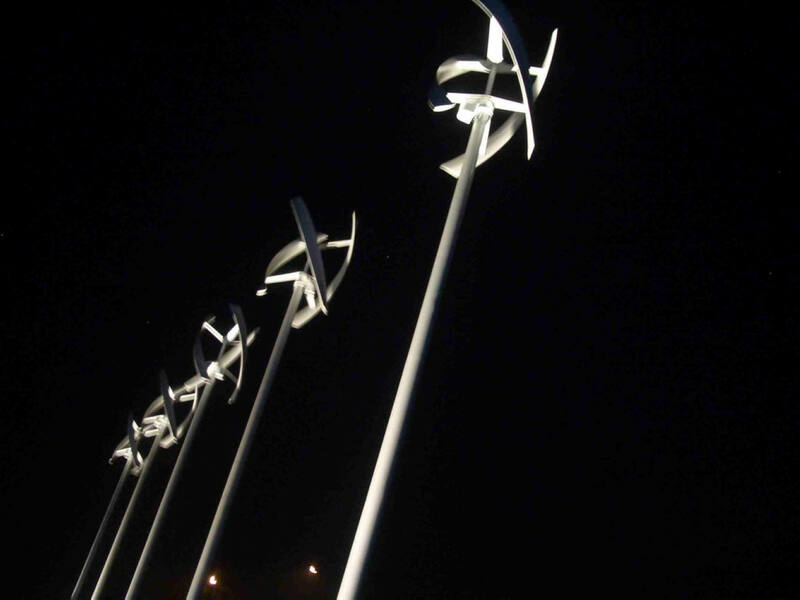 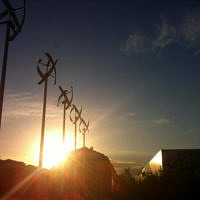 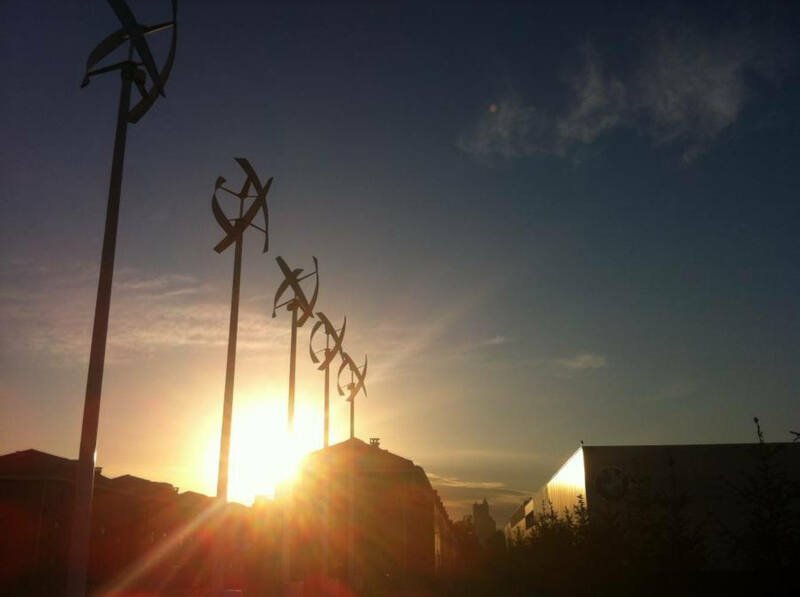 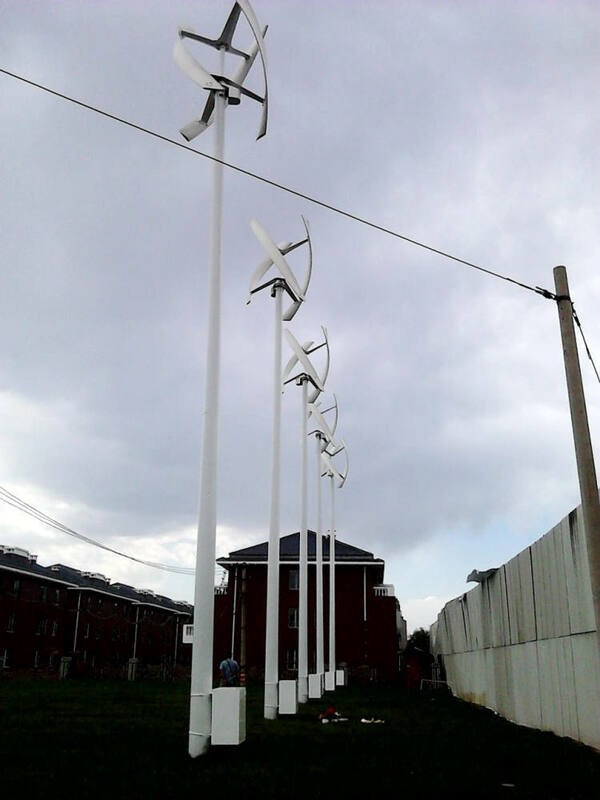 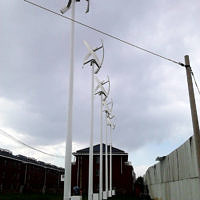 The variety of clean and renewable energy sources, including over 1500 square meters of solar panels, are focused around the wind turbine system at its center.